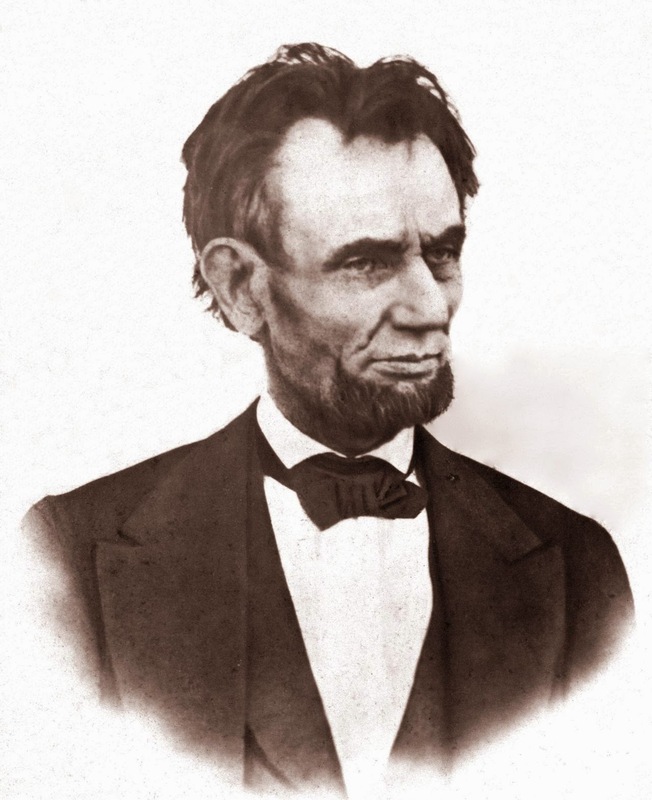 In my last post I wrote about the national tragedy that was the loss of Abraham Lincoln (150 Years Ago – PartI). For our country, this single event was one of the largest tipping points contained in our history—an event so enormous that it resonates still today, shaping the very fabric of our society. This is exactly why I find tipping points so fascinating (For more on what I mean by the term see my much earlier post—Tipping Points). There’s something compelling about a moment in time that changes the world we all know. If we step back 150 years we find a nation in turmoil. (I would ask you to close your eyes and imagine it but then that would probably be a hindrance in reading any further!) Our Civil War was dying, though not dead. And the entire nation, not just the North, reeled from the shock of Lincoln’s assassination. 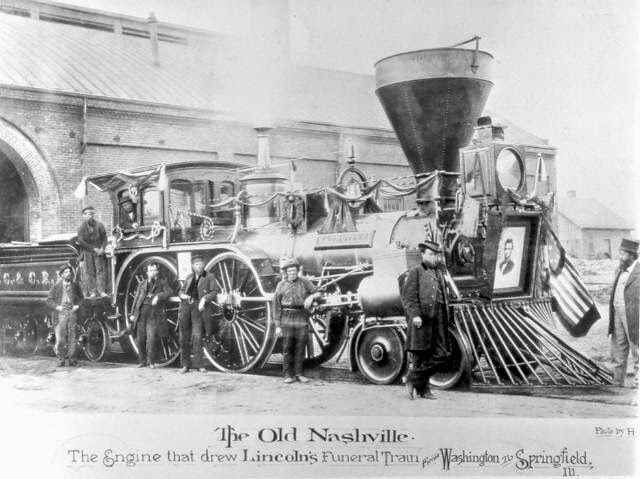 John Wilkes Booth expected to be heralded a hero, but instead, even Confederate President Jefferson Davis expressed remorse for the loss of Lincoln. He knew—as did others in the South—that the North had their martyr. Further fighting would be met by a stiffened resolve, and the most favorable terms for any surrender were to be had right then. Instead of energizing a failing Confederacy, Booth had driven the final nail into the proverbial coffin. 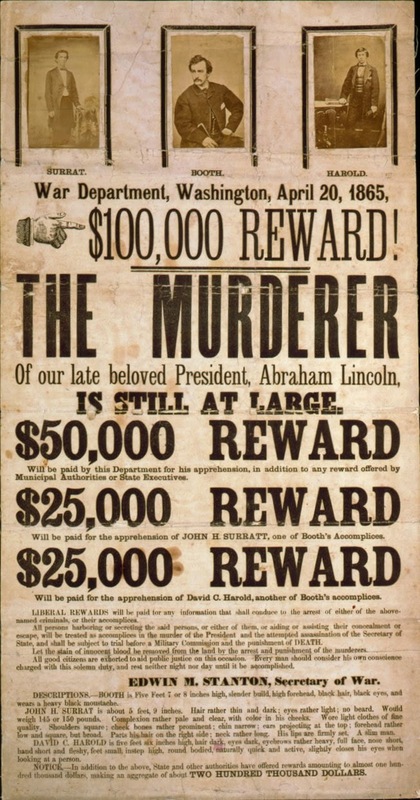 Today marks the 150th anniversary of the capture of John Wilkes Booth. In what was the greatest manhunt in the history of our nation, the final chapter of the Civil War began to close with the death of a Shakespearean actor on a tobacco farm in Virginia. Though the angst felt by the nation might be hard to comprehend today, there are historians who bring it back to life in such glorious detail that you might as well be reading a taut paced thriller. At times, it is hard to improve upon real life as the source of drama, conflict, and ultimately insight into the human condition. For anyone interested in our nation’s history, especially as we pass this important anniversary in American history, I highly recommend the following works. They were both instrumental to my research. 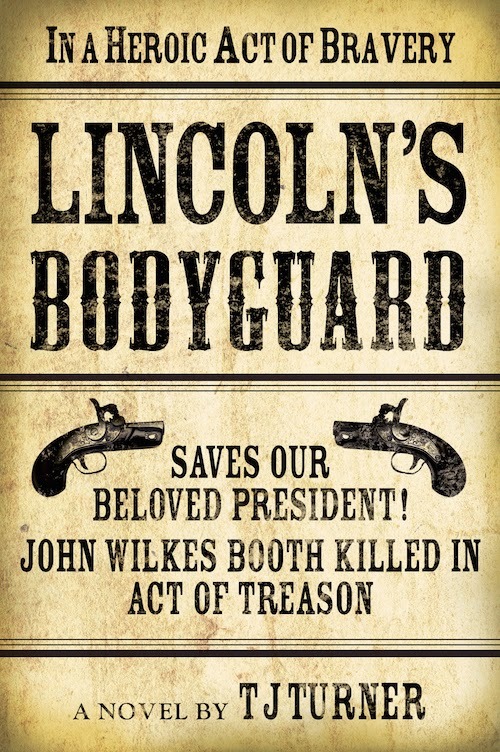 Winik brings to life the very last month of the Civil War, tracing the fighting from the fall of Richmond, General Lee’s retreat, the surrender of the Army of Northern Virginia, President Lincoln’s assassination, and ultimately the final surrender of Confederate General Joe Johnston. This is a brilliant look at thirty-days that shaped America forever, with a masterful account of the politics, the figures, and the outcome that gave us a new-birth. Of particular note, Winik outlines the last-ditch plan forwarded by Confederate President Jefferson Davis, to fight a guerilla war. If successful, it would have paralyzed the United States and forced exactly the type of outcome I used as the premise of my novel—an insurgency that threatens to tear apart the nation, something very similar to what our country has experienced in our conflicts in Iraq and Afghanistan. While Winik covered the entire month of April 1865, Swanson zeroed in on the specifics of hunting Booth and his conspirators. This is a gripping tale of the greatest manhunt in American history, and Swanson does not disappoint. 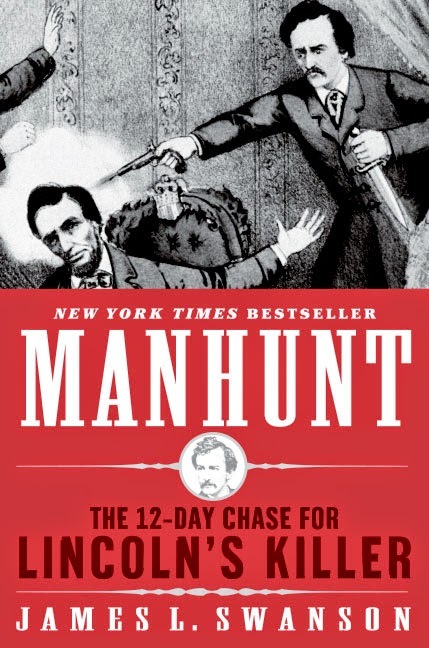 Sharing a birthday with none other than Abraham Lincoln, Swanson writes with a passion that few could rival, bringing to life a tale of murder, betrayal, and intrigue. Follow the chase from Washington DC, to a lone tobacco farm where Booth meets his end. 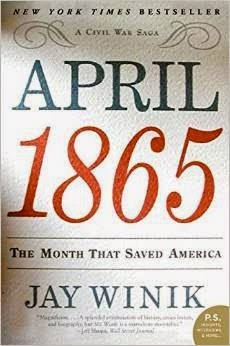 Once again, a well-written account of actual history was critical for my research, as I altered the outcome of the greatest historical injustice in our nation’s past—the death of Lincoln. 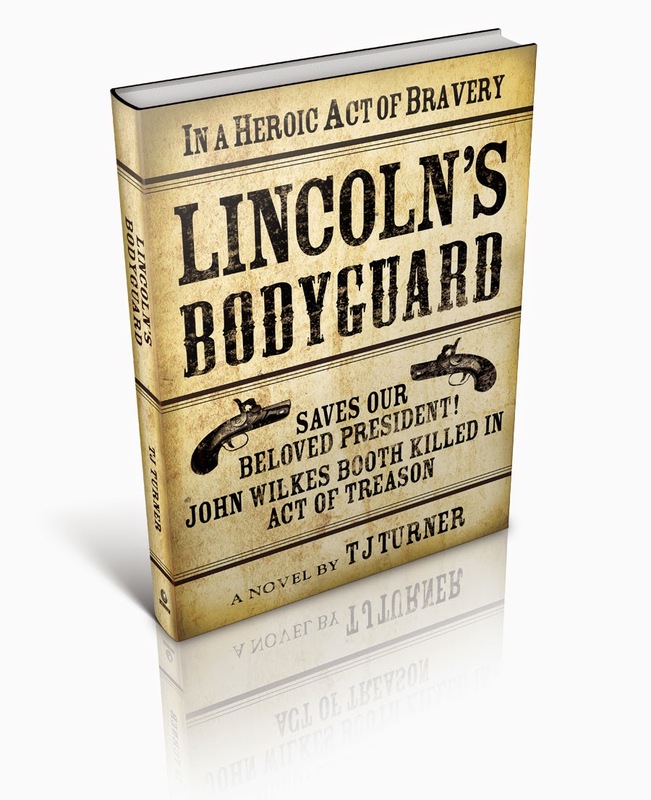 Understanding the past, in particular all the politics swirling around the assassination, allowed me to craft a new narrative where our greatest President survives in Ford’s theater…only to unleash unexpected outcomes.